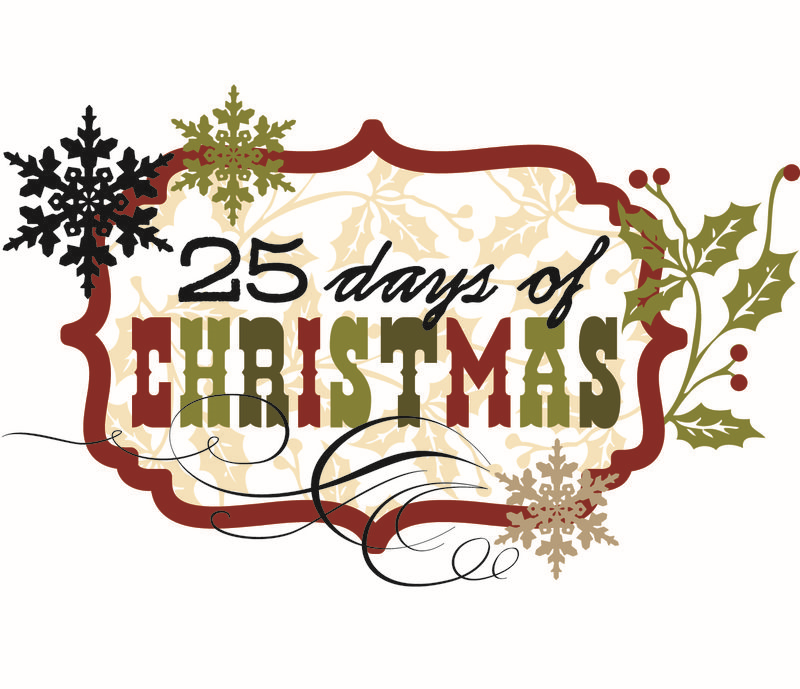 The Jefferson County Council on Aging is hosting a 25 Days of Christmas Raffle. 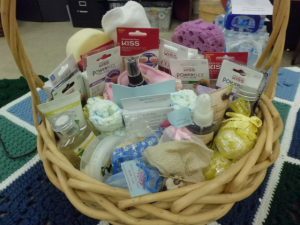 A basket a day will be drawn with several on Friday’s. Ticket cost is $10.00. No need to be present to win. Ticket will be put back in for every drawing! Choice of basket upon drawing! 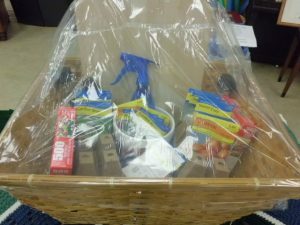 Take a look at the baskets we have available for the raffle. If your number is drawn, please select your basket below and we will pull the basket your choice of basket! 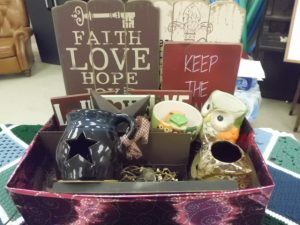 Country Décor Basket- Variety of country décor including signs, candle holders, metal stars, jars and much more. A Day at the Spa- Variety of body scrubs, sponges/towels, body sprays & lotions, bath bombs, and a variety of glue on nails. 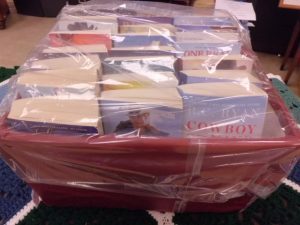 Cowboy Up Book Basket- variety of your favorite cowboy novels. 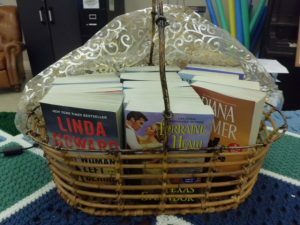 Reading Basket- Variety of novels including Diana Palmer, Lorraine Heath and Linda Howard. Garden Starter- Variety of seed packets, seed starter containers, pots, spray bottle and lights for your walkway. 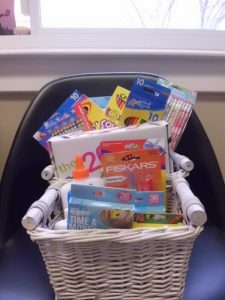 Back to School Basket: Get all your essential back to school items here. Included is an assortment of pens, pencils, markers, colored pencils, and crayons. Also included is paper, flash cards, glue, scissors and much more! 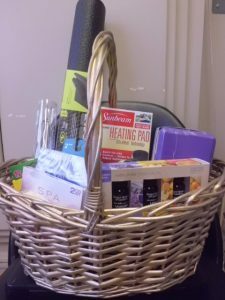 A Day of Relaxation Basket: Enjoy a day of relaxation with this basket. 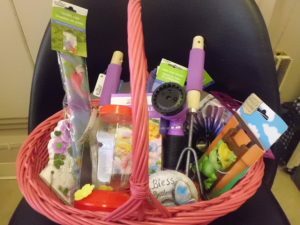 Included is a yoga mat and block, assorted essential oils, massagers, relaxation cd’s and much more! 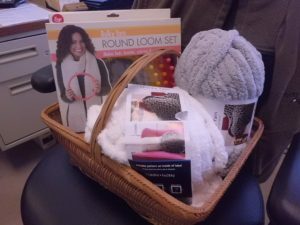 Make It Yourself Basket: Try your hand at making your own warm scarves and much more! Spring Into Your Garden- Enjoy a nice Spring day with this garden starter. 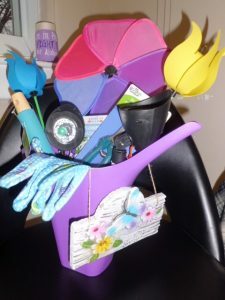 Includes watering can, gloves, gardening tools, and beautiful decorations. Gardener’s Paradise- Create your own peaceful space with garden hanging decorations, flags, hummingbird feeder, gardening tools, sprayer, and seeds. 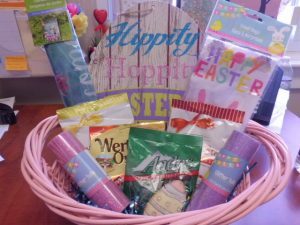 Hippity Hoppity Easter Basket: Easter decorations, flag and assorted candies. PAY-OUTS AND JACKPOTS will depend on number of participants- 50% of proceeds will be used as payouts for 9 games: Remaining 50% of proceeds will be used for Jackpot. JEFFERSON COUNTY SOLID WASTE AUTHORITY ! We are sorry to announce that THE ELECTRONIC RECYLING EVENT HAS BEEN CANCELLED BY Jefferson County Solid Waste Authority. 10:15 Exercise Join us for chair exercises. This class is designed to build strength and enhance flexibility. The class is open all ages and levels of fitness! Our class is lead by Peggy LaGray. 11:00 Garden Club We are in the process of planning our summer garden. Drop in and help us out! 10:00 Bingo Bring in a FRUIT from home and receive a free bingo card. Bingo cards are .50 cents or you can use one of our free ones. 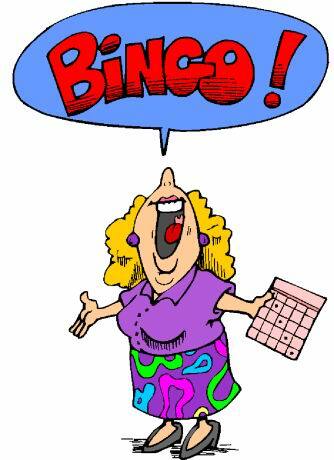 11:00 50/50 Bingo Cards are $1.00 The winner receives 50% of the proceeds. 1:00 Bingo Cards are free!! We have some great prizes to offer. 11:00 Speaker: Learn about Backyard Birds and what to feed them. 3:00 Craft Class This week we are working on spring jewelry. 10:00 Wii Bowling Tournament All skill levels welcome. Drop in and show off your Wii Bowling skills. High Score wins a prize. 10:00 Cards The current game is “Spite and Malice”. New players are always welcome. 10:30 JCCOA Craft group We will be making spring crafts with the seniors. Drop in and join in the fun. 1:00 BINGO Bingo starts at 1:00pm and the cards are free. We have some great prizes. 9:15 Exercise Join us for chair exercises. This class is designed to build strength and enhance flexibility. The class is open all ages and levels of fitness! Our class is lead by Peggy LaGray. 10:30 Precious Memories Band Join us for a morning of country music and dancing.